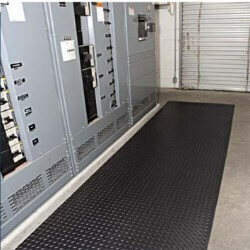 Notrax's #831 3/16" Diamond Switchboard Matting is a non-conductive floor mat made from a PVC compound, designed to provide insulation for the worker. The mat prevents the worker from being grounded, thereby eliminating the possibility of electrical shock. 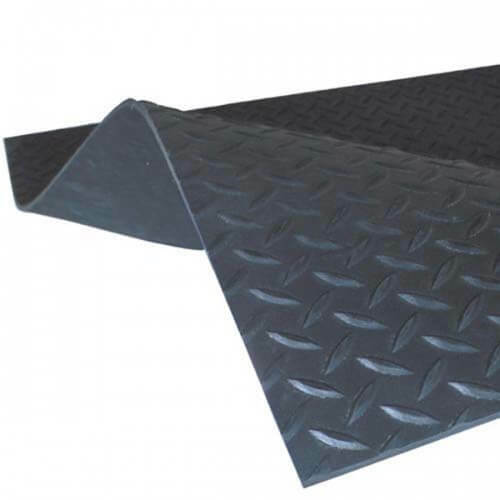 The diamond plate top surface provides increased traction and is easy to sweep clean. Switchboard Matting can be used in dry environments in front of high voltage boxes, electrical fuse boxes and transformers. 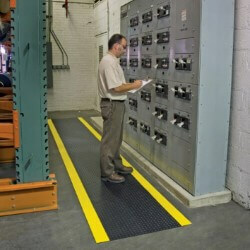 It is highly recommended that the matting be replaced every 12 months for optimum performance. Production time: 3 to 5 business days. 10. Available in Black and OSHA approved striped borders. Colors: Yellow, Red, Green and Orange. 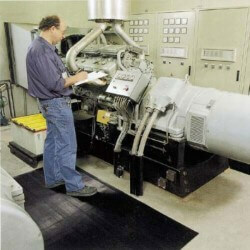 Rubber Type: 100% Nitrile Rubber (15% Recycled Content).